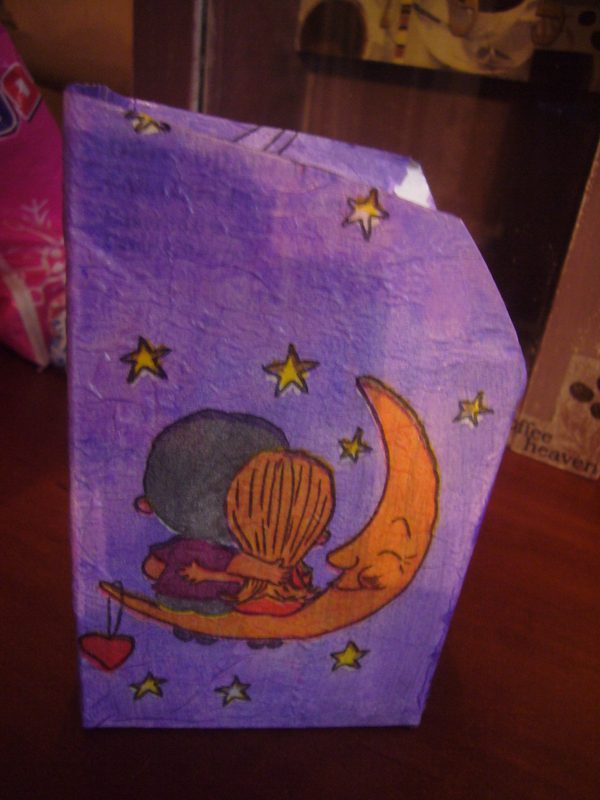 This is a paper box decoupage project. I have had a trouble with storing by spices. They used to lie around on the shelves and it was a mess. I had several of the packs opened and they would occasionally get spilt. Today, when I cleaned the mess out, I noticed, I had two packs of ground black pepper and two packs pf coriander opened. I even had a funny incident with these messy spices. My coriander and cinnamon packs look pretty similar. They are designed in the same color. And, in Russian coriander and cinnamon sound pretty much the same: coriander and coritsa. So, I have gone ahead and put a tea spoon of cinnamon into my soup instead of coriander! Can you imagine that! This decoupaged item used to be a wine packaging box. So, it’s a great upcycling and green living idea, too. I cut out part of the box and repainted it to cover up the print on it. 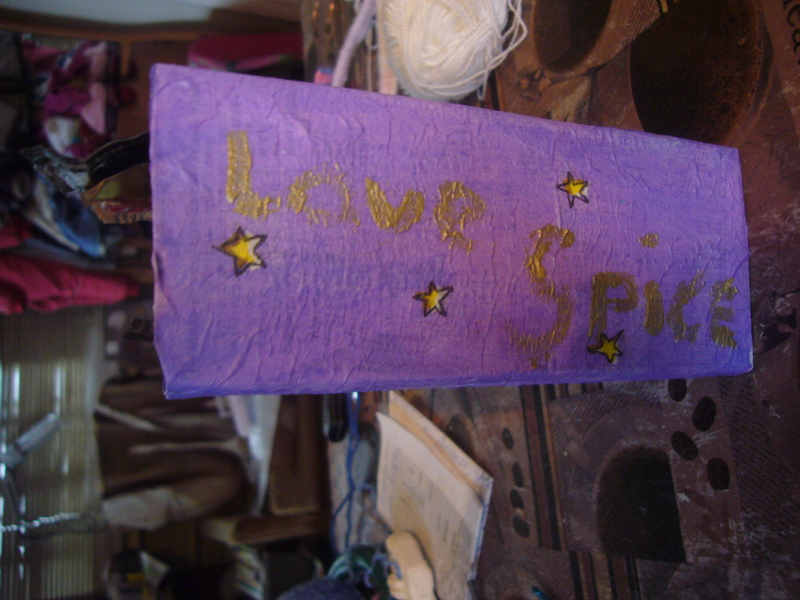 Then I decoupaged it with a napkin. 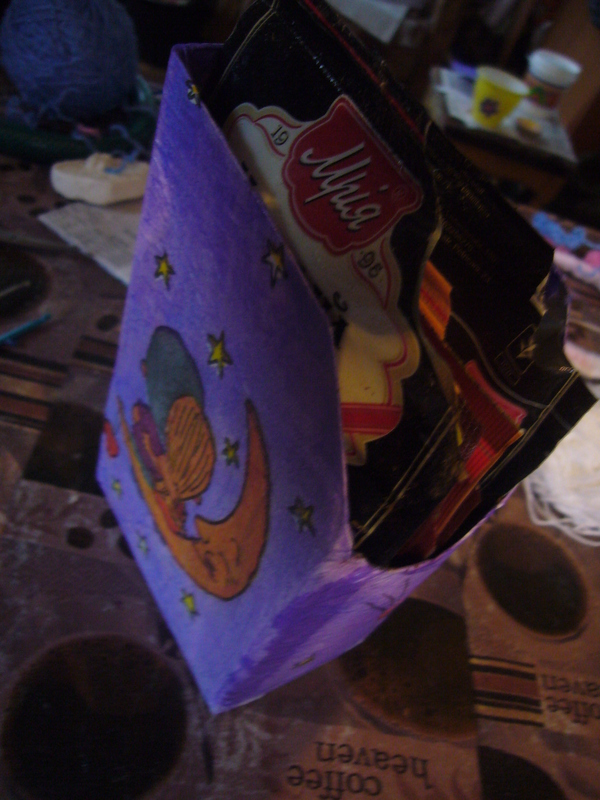 Of course, I could fit only part of my spices in the decoupaged box. I’ll have to get couple more of them done. But, I already cleaned part of the mess and every little bit helps. This entry was posted in Decoupage ideas, Uncategorized and tagged cleaning tips, crafts, creative, creative ideas, decoupage, decoupage how to, decoupage ideas, DIY, green living, spice box decouapge, upcycling. Bookmark the permalink.